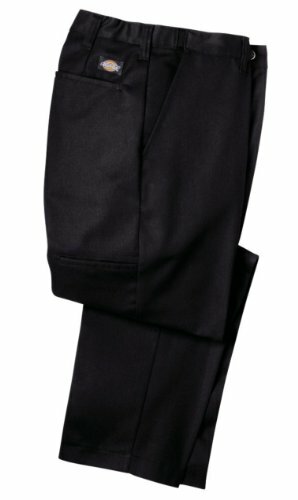 These Dickies LP700BK black industrial pants have a hidden expandable waistband. They are relaxed fit, with a flat front and straight-cut legs. They are made of 7.75-oz. vat-dyed twill fabric and are 65% polyester / 35% cotton. The pants are permanent press for easy care. 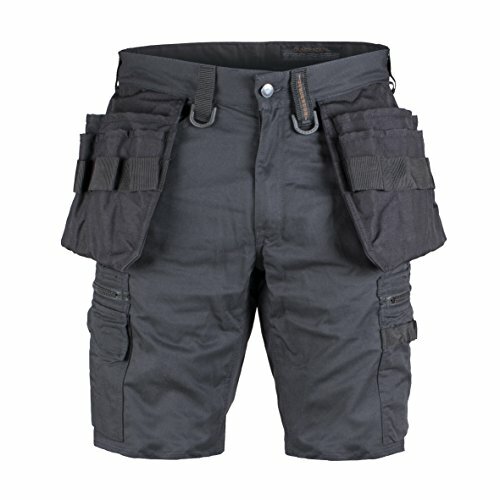 They have reinforced front pockets, a metal tack button waist closure, wide belt loops, and crotch gusset for comfort. They have a cell phone or multi-use pocket on the leg with hidden snap closure. 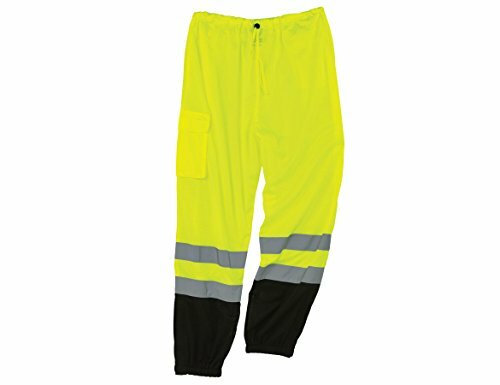 These industrial pants are treated with StayDark technology for maintaining color. Imported. 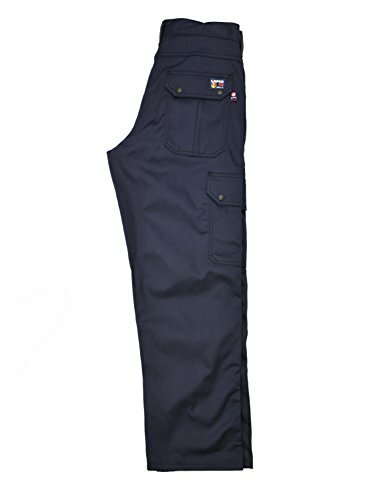 Williamson-Dickie Manufacturing Company manufactures work apparel and accessories under the Dickies, Kodiak, Terra, VanMoer, and Workrite brands. The company, founded in 1922, is headquartered in Fort Worth, TX. Arc'teryx Bottoms Size Chart Arc'teryx Tops Size Chart You don't need to break out the club ride kit every time you step into the saddle, especially when you have the bike commute-ready performance of the A2B Commuter Pants to get you through your ride and the day in comfort and easy style. Trim Fit: Motion-friendly fit with reduced fabric for minimal bulk. Contoured mid rise sits slightly higher at the back. Pants feature a slim straight fit through the leg. Plainweave fabric Schoeller 3XDRY performance: 3XDRY treatment provides water-repellent, stain-resistant protection. Specialized, hydrophobic DWR finish improves quick-dry performance. Moisture-wicking design moves perspiration away from the skin to distribute evenly across the fabric surface. Stretch twill improves mobility. Lightweight, breathable twill offers a comfortable alternative to denim. 6.3 oz/yd ; 215 g/m fabric weight. Reflective taping is placed at the roll-up cuffs and in back pocket panels to improve low-light visibility. Belt-loop waistband. Zip fly with button closure. Scoop hand pockets. Back patch pockets. 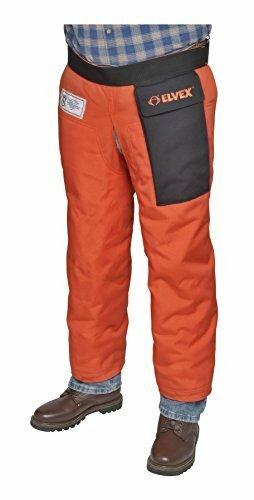 Zip pocket at the right thigh. 80% cotton, 18% polyester, 2% elastane. Machine wash and tumble dry. Imported. Measurements: Waist Measurement: 32 in Outseam: 42 in Inseam: 33 in Front Rise: 9 in Back Rise: 16 in Leg Opening: 14 in Product measurements were taken using size 32, inseam 33. Please note that measurements may vary by size. 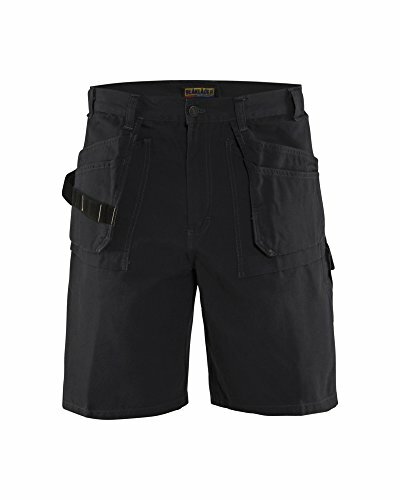 These Dickies LR642DS industrial shorts have a relaxed fit and a hidden snap closure. They are made of 7.75-oz. vat-dyed twill fabric and are 65% polyester / 35% cotton. They have a permanent press finish for easy care. 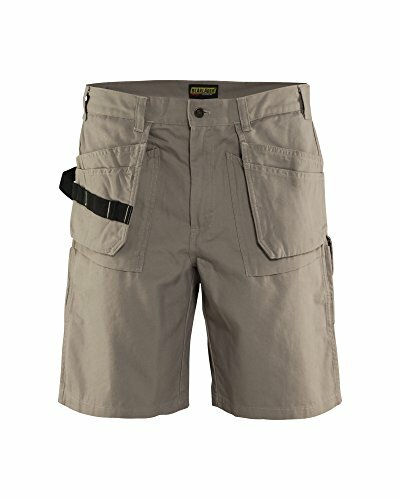 The shorts have a cell phone or multi-use pocket on the right leg. They have a heavy duty brass ratcheting zipper, a metal tack button, wide, reinforced belt loops, and a crotch gusset for comfort. 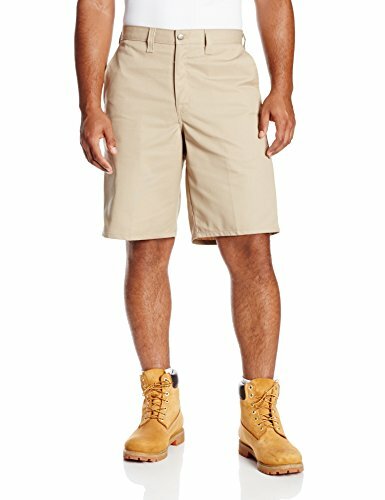 These industrial shorts are treated with StayDark technology for maintaining color. Imported. Smooth comfortable 8 oz. cotton delivers high performance durability. All the functions of the carpenter pant with the added durability of CORDURA lined rear pockets. 15'' inseam. FUNCTION FABRIC 100% cotton, 8 oz. Metal zipper fly. Metal buttons. 15'' inseam. Side hammer loop. Leg pocket with pen pocket and telephone pocket. Nail pockets - with chisel pockets and tool holders, can be tucked in the front bellowed pockets. Ruler pocket with extra pocket. Stonewashed carpenter shorts made of Japanese denim of the highest quality for a genuine jeans attitude and fit. Craftsmen features such as hammer holders, leg pockets with integrated ruler pocket, reinforced nail pockets and detachable D-rings ensure a smooth and efficient work-day. Each pair comes with a unique wash. Slim, modern cut. 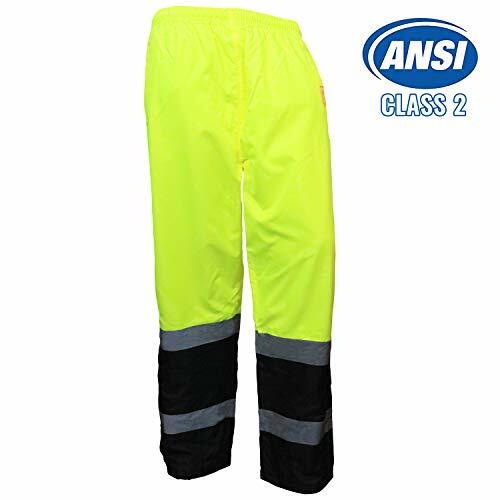 Class E Black Bottom Mesh Pants: Cool mesh with black high wear areas to hide dirt and keep worker looking clean. 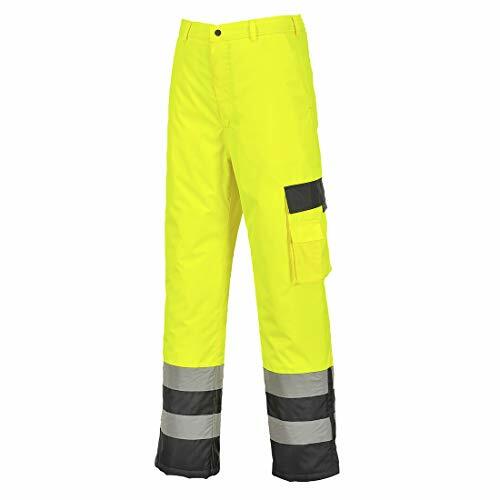 LAPCO FR flame-resistant cargo pants with an exclusive moisture management finish keep you cool, dry, and safe. 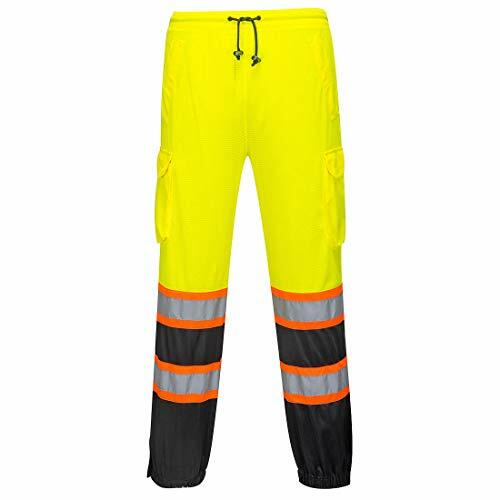 These pants are a perfect match for our flame-resistant uniform shirts and include many features for comfort and compliance. 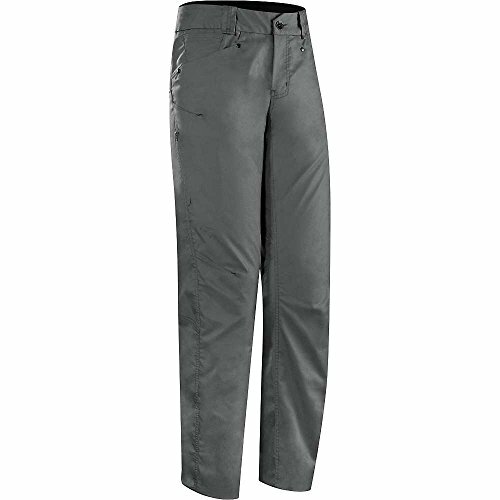 Enjoy the durability of pants made to withstand hard work in addition to a neat, professional look. Mid-rise and straight leg openings. Relaxed fit through seat and thighs. Non-conductive button and snap closures. Reinforced back flap pockets with snap closures. Left and right cargo pockets at the thighs. Jeans-style front pockets. Sewn with Nomex thread. Brass zipper with Nomex tape. 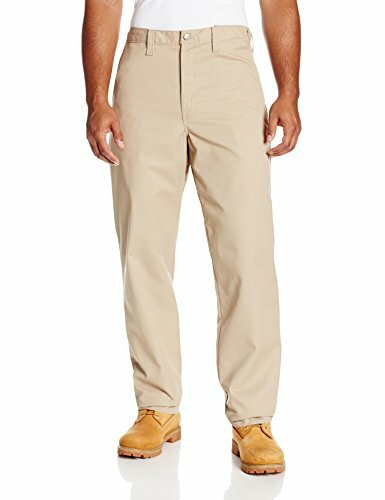 These Dickies LP700DS desert sand-colored industrial pants have a hidden expandable waistband. They are relaxed fit, with a flat front and straight-cut legs. They are made of 7.75-oz. vat-dyed twill fabric and are 65% polyester / 35% cotton. The pants are permanent press for easy care. They have reinforced front pockets, a metal tack button waist closure, wide belt loops, and crotch gusset for comfort. They have a cell phone or multi-use pocket on the leg with hidden snap closure. 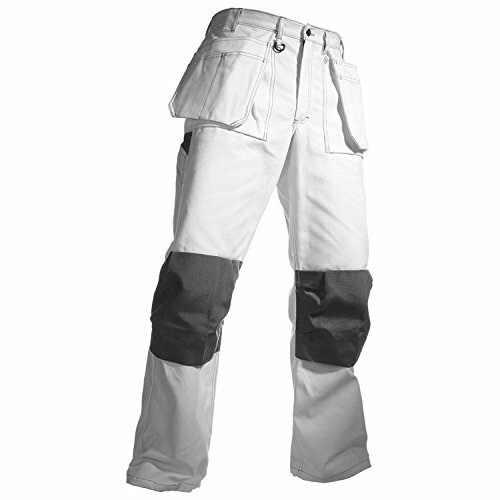 These industrial pants are treated with StayDark dye for maintaining color. Imported. 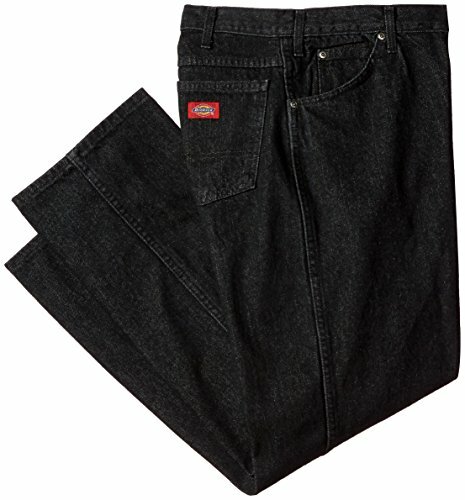 These Dickies C993RBK black denim pants have a relaxed fit, a straight-cut leg that fits over most boots, and deep pockets. They are made of 4-oz. denim fabric and are 100% cotton. The pants are garment washed for softness and reduced shrinkage. They have a brass ratcheting zipper and decorative stitching on the back pockets. These denim pants have rivets at stress points for durability and are safe for industrial laundering. Imported. Wrap around calf protection with zipper; 1000 denier, Water-Resistant. Dickies garments are sized by actual measure. To ensure proper fit, please measure the wearer prior to ordering. 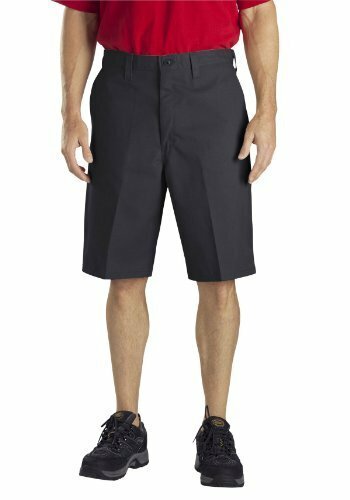 Dickies men's industrial flat front short features relaxed fit, StayDark technology, resists wrinkles, easy care stain release, enhanced durability, wider, stronger belt loops, reinforced and deep front pockets, left back pocket has button closure. 7-3/4 ounces vat dyed twill. It is made from 65 percent polyester and 35 percent cotton, Industrial wash friendly, 11-inches inseam. Don't worry painters. We didn't forget about you. Painting is just as demanding as any other trade, so it requires the same functional clothing to get the job done smarter and faster. So, whether you're wearing another pair of white workpants or paint-splattered jeans, don't you think it's time you got something truly built for your trade? Two reinforced nail pockets which can be placed inside the front pockets with bellows. Two back pockets with bellows. Hammer loop. Strong metal fly zip. Reinforced rule pocket with a pen pocket and knife-holder. Leg pocket with a pen pocket and extra pocket. Kneepad pockets in Cordura. Telephone pocket. Painting is just as demanding as any other trade, so it requires the same functional clothing to get the job done smarter and faster. So, whether you're wearing another pair of white workpants or paint-splattered jeans, don't you think it's time you got something truly built for your trade? 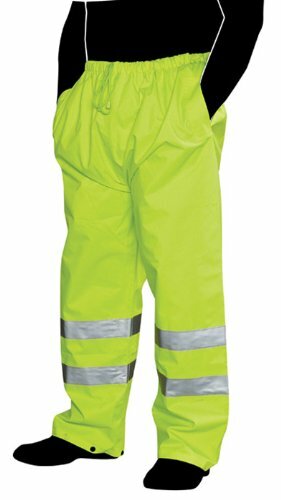 Liberty fluorescent lime green rain pant. 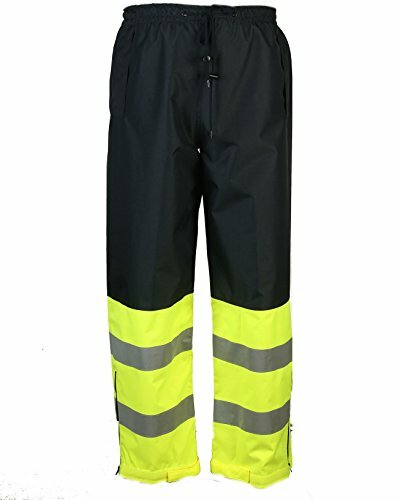 Weatherproof outer shell constructed of 300 denier polyester oxford with polyurethane coating, 2-inches wide level 2 ANSI-certified silver retroreflective stripes, elastic waist with drawstring, adjustable ankle snaps for better fit, two side slits for inner pocket access. X-large size. MADE BY PORTWEST: With over 110 years of experience and a heritage of quality, value and service, Portwest is firmly established as a world leader in the design and manufacture of stylish, comfortable, high-quality workwear that meets recognised international standards.